We are a locally sourced restaurant showcasing DeKalb County Products including Forge Brewhouse Craft Beers, Prairie State Wines, and Whiskey Acres Spirits. Fine artisan brick oven pizzas, sandwiches, and appetizers made to order. Our dough is made daily. All sauces, butter, mustard made on-site with fresh ingredients. 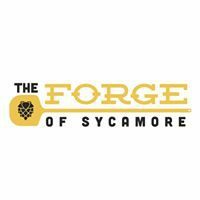 Note – We have relocated from our Airport Rd/Route 64 location, to Downtown Sycamore. Visit us at our new location, with updated menu offerings, and a new “Special Occasion Room” . Memorial Day, 4th of July, Thanksgiving Day, Christmas Eve, Christmas Day and New Year’s Day.